Teshome Wolde left Ethiopia nine years ago with hopes of a better life in South Africa. But he’s spent a good deal of that time looking over his shoulder, fearing for his life. Recent attacks on foreign nationals in parts of Durban and Limpopo – where their property and goods were looted and damaged – have left people like Wolde worried. Wolde, who has been living in Yeoville for about five years, has asylum papers and operates a spaza shop across from Yeoville Police Station. “My shop got looted a few years ago by some men who told me to leave their country. They took my stock and cash and there were no police in sight to assist me,” he said. He said he did not understand how Africans could attack other Africans. Wolde said he fled Ethiopia because “the government in our country doesn’t help us and people are always fighting”. “I manage to make a living from my little shop here but the fear of being attacked still lingers,” he said. This week, President Cyril Ramaphosa condemned the violence against foreign nationals and called on law enforcement agencies and law-abiding citizens to identify perpetrators and bring them to book. “There can be no justification for criminality and if communities are disaffected for any reason, grievances must be raised with government and must be done within the confines of the law,” Ramaphosa said. Tamara Mkhuma (45) who has been a Yeoville resident for more than 11 years is a South African citizen by birth. She said that South Africans deserved better from the government. “Our problem here in Yeoville is that we are renting from foreigners. Foreigners come from their countries and hijack buildings here and then we – South African citizens – have to rent from them,” she said. 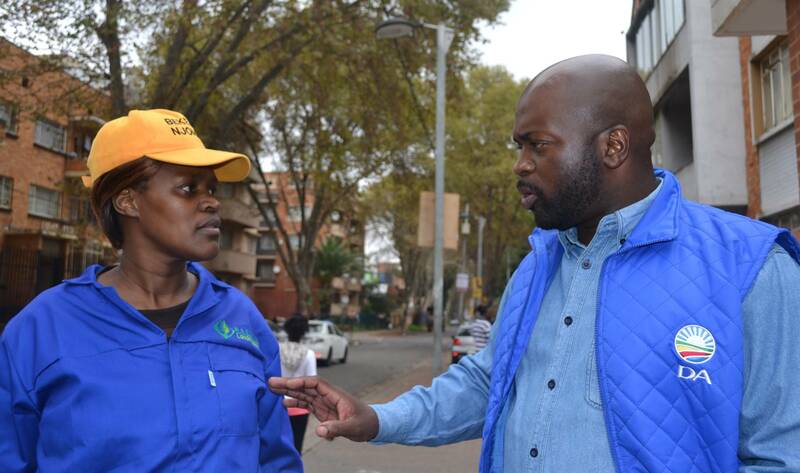 DA premier candidate for Gauteng, Solly Msimanga, who visited the Yeoville Police Station on Tuesday morning, believes that “the government is the weakness”. Mkhuma – currently sharing a space with her four children – said that she condemned xenophobia but believed a lot needed to be done to fix the situation in the country. “We are not saying xenophobia is right but we want our land back. I mean, I as a South African citizen cannot go to Zimbabwe and start occupying buildings illegally. But in our country it’s easy for foreigners to do that,” Mkhuma said. 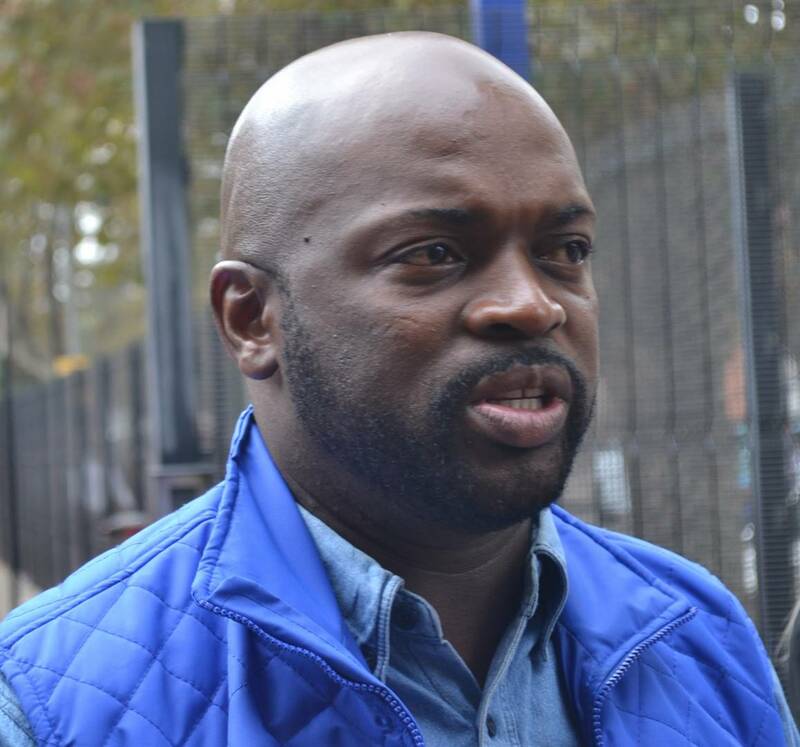 Msimanga visited the police station following allegations that illegal immigrants who have been arrested pay a bribe in exchange for being released. Speaking to City Press, Msimanga said that it was essential for all parties involved to play their respective roles. “Home Affairs needs to be playing its role; the department of defence needs to be playing its role. Our borders are no longer being patrolled the way the used to be. Because each of these departments is not doing what they are meant to, government as a whole is failing us,” he said. Msimanga’s efforts to speak to detainees at the police station proved fruitless as he was denied access to the holding cells. Msimanga said: “One of the things that was a concern for me was the fact that they [police] said that they could not give us numbers. We asked for specific numbers in terms of how many foreign nationals they arrested and what the turnaround time was when it came to processing these individuals for them to be repatriated. The DA premier candidate said that South Africa could be facing a bigger crisis than the nation realised. “We might be sitting with a problem where, for example, undocumented foreign nationals are arrested but are then released and not repatriated because they are not being processed or are possibly paying bribes to officials who release them,” he said. 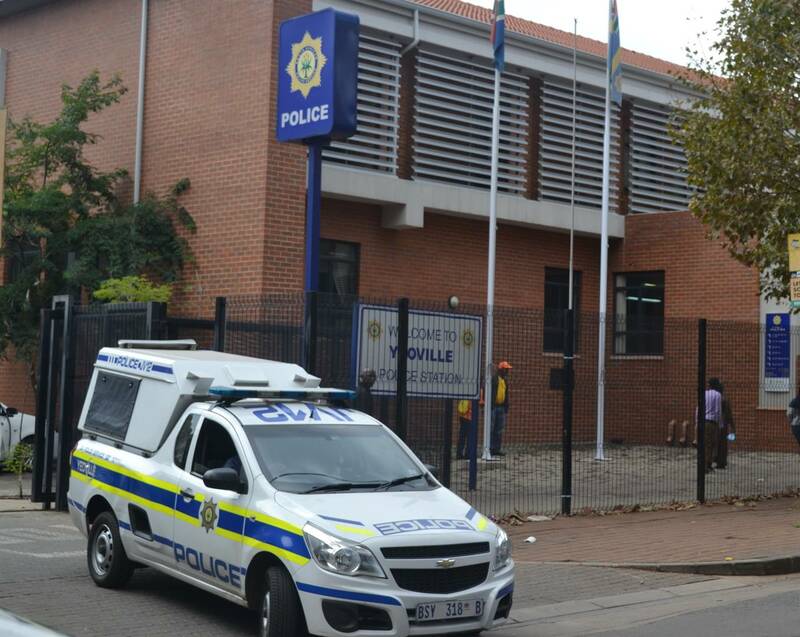 Gauteng SA Police Services provincial spokesperson Lungelo Dlamini said that his office was not aware of the allegations that officers were taking bribes. “Anyone who might have such information may come forward so that the allegations may be investigated as corrupt person(s) are a burden to any organisation,” he said. Political figures including the DA’s Herman Mashaba have come under fire for making allegedly reckless statements about foreigners. Mashaba, who is the mayor of Johannesburg, has been quoted saying: “Foreigners‚ whether legal or illegal‚ are not the responsibility of the city” and “the city of Johannesburg will only provide accommodation exclusively to South Africans”. More than 60 people were killed in xenophobic attacks in 2008 and as recently as last week it was reported that foreign nationals were being evicted from their homes, beaten, harassed, stoned, and killed, especially in KwaZulu-Natal. A second wave of xenophobic attacks followed in 2015 with many people blaming the outbreak on remarks made by Zulu King Goodwill Zwelithini.